At the close of a tumultuous year and amidst the sound of artillery fire from the international church scandal, the things of primary importance are escaping the sight of observers and participants, alike. 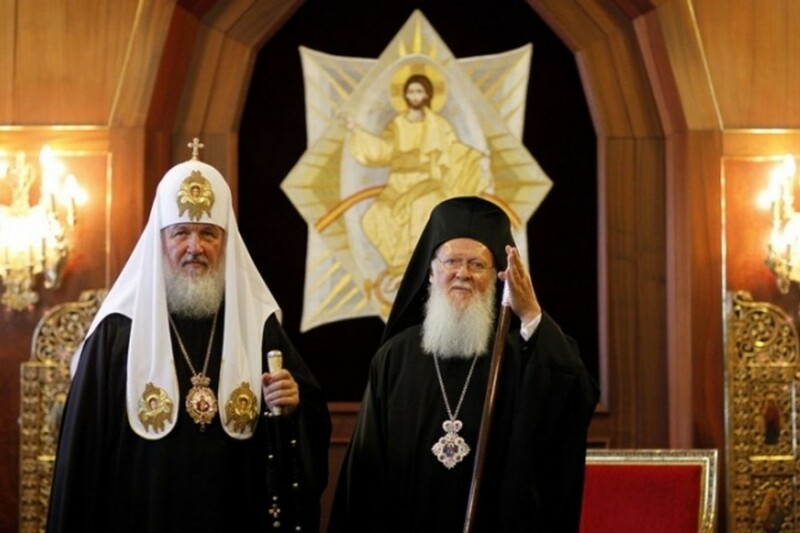 2018 closes amidst an unusual amount of press coverage for the Russian Orthodox Church, brought about by the actions of the Patriarchates of Moscow and Constantinople. Constantinople’s first move was to announce that it was taking the Kievan Archdiocese, placed under Moscow in the 17th century. 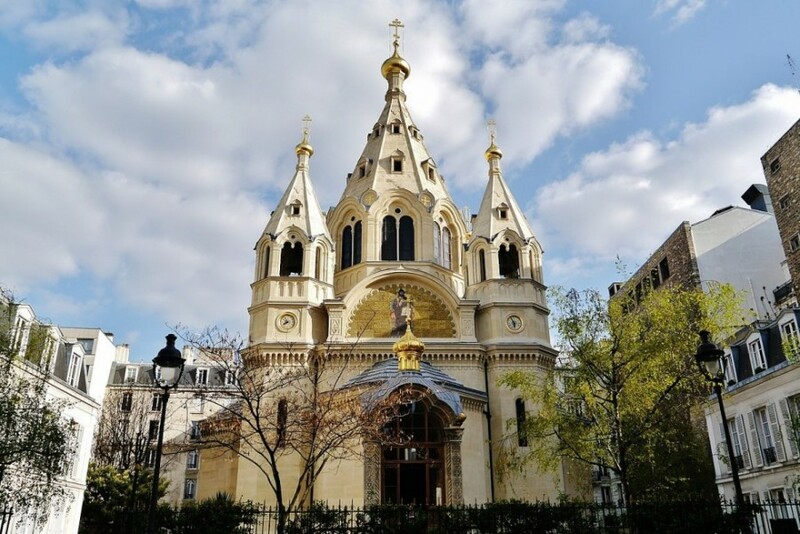 Their second move was to dissolve their Russian Archdiocese (Exarchate) of Western Europe. Plenty reasons for these moves have been repeatedly named, whether they be political, nationalist, historical, social or something else…real, or dreamt-up. Amidst the noise, it is not possible to immediately discern that everyone, in fact, is just stuck. And this applies to Moscow, Constantinople, Kiev and Paris, alike. And the saddest thing of all, is that these scandals are covering up the real problems in the church, which have caused and are fueling the current crisis. The real problems concern Orthodoxy across the world in general, to differing degrees in different places. Precisely for this reason, it is difficult to help anyone. 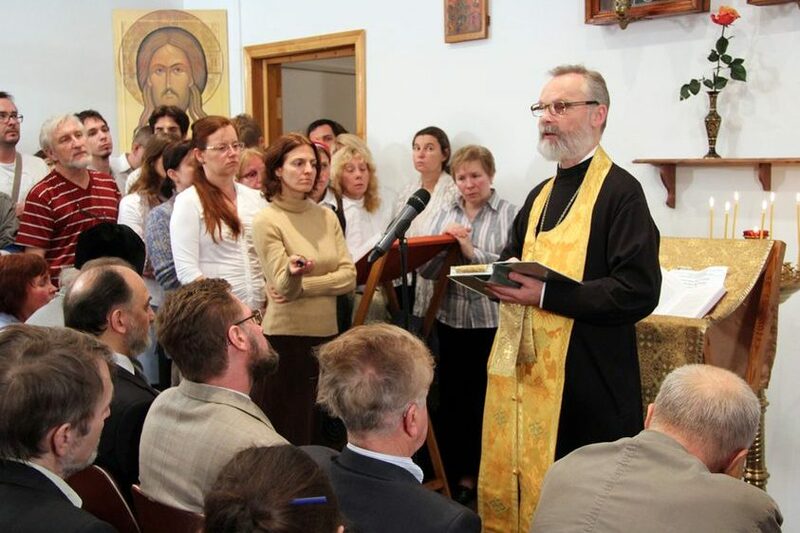 And the Orthodox world, which has become improbably weak in almost all important aspects, including mission, spiritual education, theology, liturgy, and church structure and management, is being pushed, or receding, further and further to the periphery of Christian life and the life of society. We were talking about this ten years ago, and twenty years ago – but no one wanted to hear about it, let alone do anything. There is nothing new to say at this point; we can only repeat what has already been said. 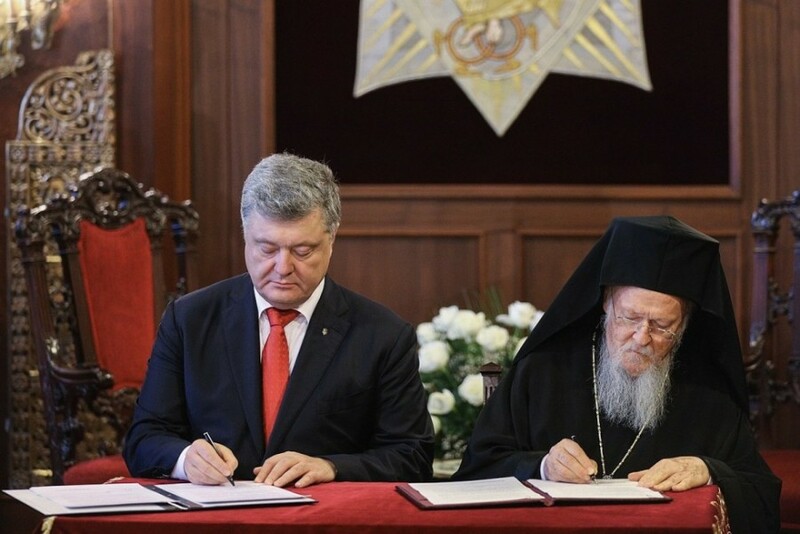 First of all, if the Orthodox church wants to have a future, it needs to quickly rid itself of any political aspirations. As soon as possible! There is not a single type of power in the modern world – whether political, economic or media/informational – that is in the hands of the church; for this reason, any alliance with the powers-that-be immediately puts the church into a position of slavery. It is strange that we could have been so blind to this for decades, and that we did not react earlier. The temptation to lean on those who have power is extremely great, but if we are truly concerned about the church, we must not do so. At the moment, churches must free themselves of expensive obligations to the state, to economic, political, national and, even more so, nationalist powers. 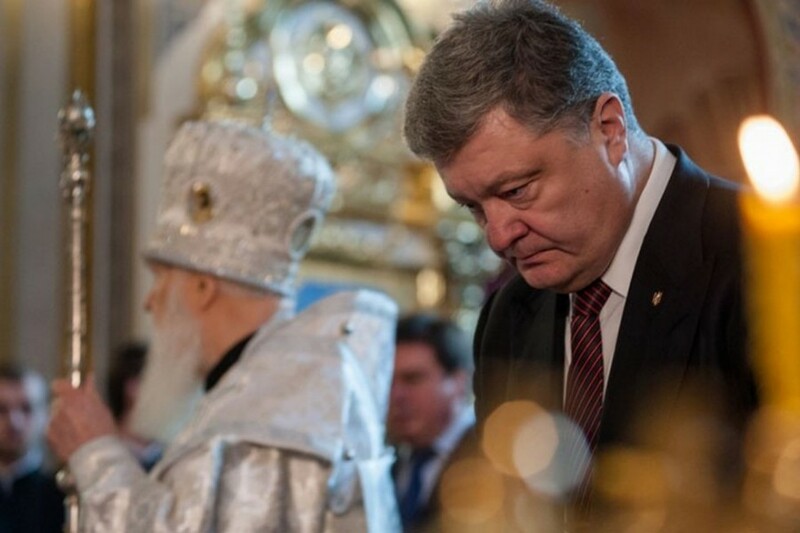 A very particular situation obtains in Ukraine right now – national spirit has escalated into chauvinism, and Christians must not follow this lead. The national motif in the Russian church could actually benefit from some strengthening, as it was shattered by the Bolsheviks, and has not yet relocated a protective attitude toward the fate of the Russian people, as well as the gifts and lessons this fate has given us. 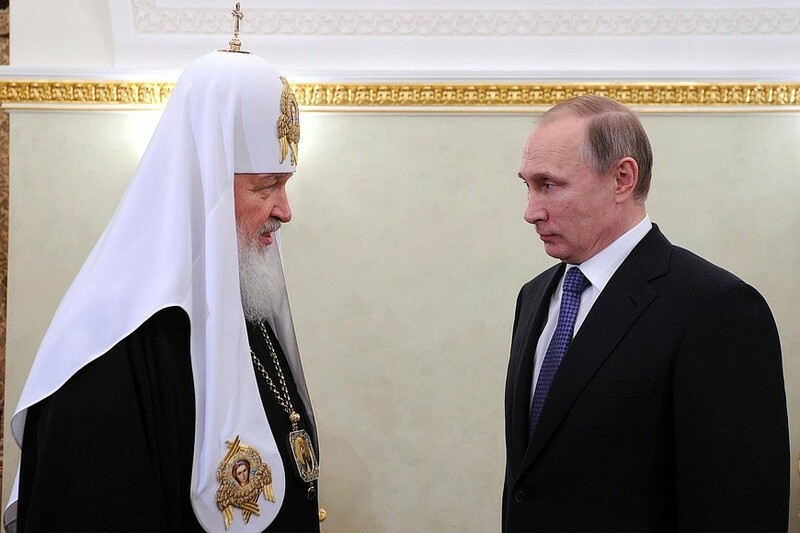 As a result, the Russian church in the Russian Federation simply does not have the people in mind and can not, therefore, actually care for the people; the people exist only as a kind of “front” for the church, or as decoration. From this comes the negligent and dismissive attitude toward the introduction of Russian language into church services and the attendant, creeping extinction of church prayers. We need to start worshiping in the vernacular as soon as possible – in the language of the people, whatever it is, wherever the church community is located. In Russia, primarily this means in Russian. People need to worship in the same language in which they speak, think and pray their personal prayers. In the second place, freedom needs to be conceived and nurtured in the church, including freedom of speech and thought; and punishment for disagreement needs to stop. We should not be afraid of the appearance of a plethora of ideas concerning the form of church life, including those that don’t resemble each other and may in some way be in conflict. Formal unity, in terms of the usage of prayer rites, as well as diocesan and parish structure, does not seem to be stopping the abundant spread of the same old Pharisaism, magical attitudes and paganism. We have to give the church the change to develop, rather than simply (and literally) repeat the backwards practices of the 18th and 19th centuries, in terms of prayer, parish structure, ethics, etc. More often than anything, such repetition results in no more than the imitation of spiritual life and leads to the gradual extinction of people of faith, including priests. It is important for the church to incorporate the experience of the new martyrs, their ability to pin point that which is authentic and of vital importance, without which it is impossible to live with and in Christ. When we turn to their experience, we are forced to turn away from all that which enables a clerical ecclesiology 1; clerical ecclesiology itself needs to be condemned as heresy. We also need, unequivocally, to condemn fundamentalisms and modernism, i.e. secularism, within the church. When I speak of fundamentalism, I am talking about modern pharisaism, stagnation, and attempts to organize church life strictly around old, supposedly traditional, forms of piety, while dogmatizing unduly private, partial interpretations of the canons, scripture, the holy mysteries and doctrines which have nothing to do with church life as a whole. When I speak of modernism, I am referring to contemporary Sadducceism, i.e. the contradiction of Church tradition and its submission to the spirit of this world, as well as an inability to determine, evaluate and take up, as our own, the holy inheritance of gospel experience passed to us by former generations of Christians. In fact, sometimes church renewal, itself, including renewal by the Holy Spirit, is termed modernism! In truth, fundamentalism and modernism are both manifestations of secularism and can understandably, for this reason, flow freely from one into the other, gaining popularity amongst laypeople, clergy and hierarchy alike. So the church often ends up in the hands of whomever – people who are absolutely not of the church – who are even anti-church – and you can find such people all across the various orders of our church. Such people often seek rank and reward; but they are not following Christ, because they’ve fallen in love with the luxury of this world. And we need to turn away from this, too; we shouldn’t be competing with the Vatican. The Vatican gained the property it has now historically. At one point, we had something similar, but we lost it all at the start of the Revolution of 1917. Trotsky’s campaign to claim church treasures destroyed Russian culture to a great extent, and the memory of our church together with it. And after that, most of the living vessels of our church and culture were also destroyed. 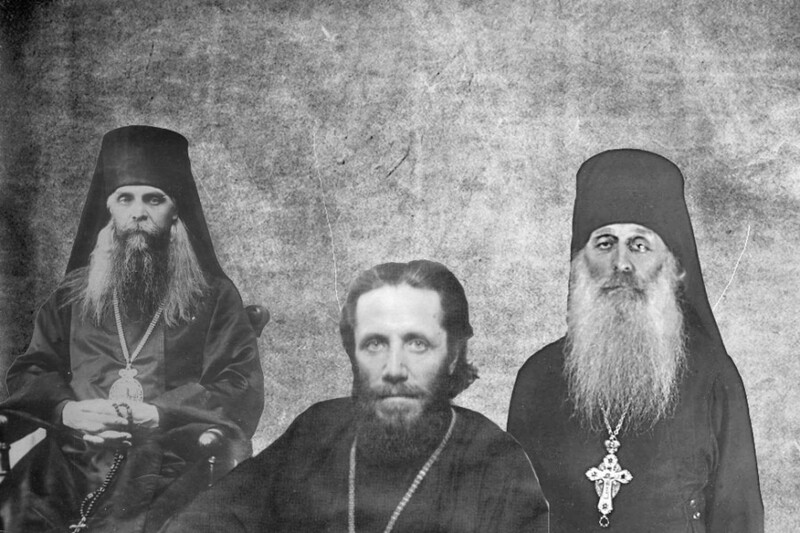 On the basis of this, we need to draw the same conclusions that our new martyrs and confessors drew – people like Archimandrite Sergij (Savjolov), Bishop Makary (Opotsky), Archbishop Innokenty (Tikhonov) – who realized that we need to strive not to return the things of the past, but build up treasures and gifts in the Holy Spirit. The new martyrs understood that a creative spirit is necessary within the church. Even in their own time, there wasn’t enough of this creative spirit; now it has practically been stamped out by that same clerical ecclesiology, which is harsh, administrative, juridical, thankless…and at heart heretical and sectarian. It closes off the church from all good influences outside of itself, even when they are overtly Christian. We shouldn’t be scared of contact with Christians from other churches, but we should develop them seriously, and not only in the social and charitable spheres, but in terms of theological research, for instance. And we need to simply be friends to other Christians, in Christ. We need, all over again, to learn how to drawn people together into the church in love, freedom, spiritual intimacy and equality, without the hierarchical aggrandizement of some people over others. This is what we call the community and brotherhood model of “being church”. We need to understand that until the elements of living community and brotherhood reappear in the church, the crisis we were talking about above will only deepen and become more serious. Best of all, of course, is the fullness of community and brotherhood church life with its emphasis on spiritual enlightenment (Christian education), brotherly fellowship in Christ, with its lack of hierarchy and goal of serving God and Church. And we need to understand that this can only happen “from below”, from the people, and not “from above” or from the structures-that-be, but from God. Such is the nature of faith, love and freedom. This is how communities start, through education, teaching – through the example of life, fellowship, and service. And this is the only way that sobornost2 can be reborn in our church. We cannot expect any real sobornost on the basis of some meeting of Archbishops somewhere or another, or as a result of their carefully selected representatives meeting, or because of some sort of commission. This does not even qualify as the most basic sobornost, because our archpastors themselves, our hierarchy, are just a small number of people representing a self-reproducing church corporation, and can hardly be understood to be the whole church, or the whole people of God. It is absolutely necessary to change our understanding of hierarchy, because it is our current understanding that has led to clericalism – an ecclesiological heresy which effectively squeezes laypeople out of the church and makes them no more than milk cows and labourers, if not slaves and second-class citizens. Along with this, we need to change our understanding of humble obedience in the church, which should not amount to slave-like submission, passivity, or a refusal to think, discern, and show personal responsibility or initiative. This attitude seems to be useful to contemporary bishops, but we have to understand why they exist in the first place. It is obvious that today’s bishops are not using their calling to gather and protect the church; they do not have episcopal gifts, although formally and canonically they are bishops. The majority of modern bishops would never have been chosen as bishops in a different era – in times in which the church was healthiest. In no way can we consider “the church to be in the bishop”. Primarily, “the bishop is in the church” and not “the church in the bishop.” We need to remember both parts of this saying of St. Cyprian of Carthage, and put the church, and not the bishop, in the place of primacy, because every Christian is required to be a bearer of the spirit of the church, aside from partial members of the church, i.e. catechumens, children and teenagers, young people and people who are in some way specially limited in their abilities of perception or expression. We need to stop making overlords of our bishops, as if they are not accountable to God, to the Church, or to anybody, and are able to do whatever they fancy. There cannot be any absolute monarchs in the church. Even God is not an absolute monarch, because He is watching over man’s path, acting together with people and manifesting His will primarily through holy, living people. “Holy” does not mean without sin, as people sometimes mistakenly think, but one who has dedicated himself or herself to God and neighbour. In addition, the church needs to understand that in this world she is a minority. We shouldn’t flatter ourselves or others with statistics; even when a large number of people are willing to attend some sort of church gathering or particularly ceremonial service, this doesn’t really tell us anything. We need to clearly understand that Orthodox Christians, and any Christians in this world, are a minority. This is a law of life, because the Church is the “salt of the earth” and the “light of the world”, which is always a “light in the darkness” – and food does not need too much salt. Basically, we should have been living not so much even in accordance with our holy fathers, as in accordance with the Gospel, itself. We need to strive for unity in peace and love – even when people let us down or trick us, or use their material power over us in a way they should not, to act by force. No matter what, we need to remain Christians, be true to ourselves rather than behaving as do our opponents, and we must withstand any provocation. For this to happen, the Gospel needs to be heard at home and at church services, in such a way that the church service itself is not hidden behind impenetrable language and silently-read prayers, as is the universal practice in our church to this day. I think this is the most important thing. Problems of social justice, rebirth of our people, her history, her land and her culture are also extremely important, but can only come second. There are some people who can combine all these things and take them on simultaneously, but they are rare. Every local church in every country is facing these same issues, but we need to know our priorities. We need, quickly, to make conclusions based upon what is going on around us. Our time is not without its gifts. If we choose, decisively, in favour of mutual trust in the church, and if there is freedom for the Holy Spirit to act in and through us, then the Church will be reborn! 1 Clerical (clericalist) ecclesiology - a model of church structure in which the central authority and power are in the hands of the church hierarchs, rather than all the people of the church, each of which, according to scripture (1 Peter 2:9) bears the dignity of king, priest and prophet. 2 Translators note: sobornost “happens” when people take on a deep inner wholeness in striving to truly integrate with each other in a quest to help bring integrity to the rest of creation.